I love early mornings when it feels like the rest of the world still fast asleep and you’re the only one who’s awake and everything feels like it isn’t really real and you kind of forget about all your problems because for now it’s just you, the world, and sunrise. SILISPONGE time! Ho ho ho… I saw this thing around social media for a while (youtube, Instagram, blog… Etcetera etcetra…) I am not that curious at first but the more you see people using it, and talking about that sometimes (oh well, most of the time) you’re going to be like “What is that squeezy thing?” and finally it turns to be, “I probably need to try that”. And here we are talking about the famous Silisponge by Molly Cosmetics. Obviously, it’s transparent, weird looking egg/not-so-egg like shape, no pores, squeezy, and light. That’s my first impression. I couldn’t stop squeeze it over and over again (it’s my issue). I tried to apply BB cream (I’m using Anna Sui BB cream). I put the product on the back of my hand then pick it up a little bit and apply it all over my face. First thing first, it took incredibly less product than I usually need. I could say it saves up to 20% product due to non-absorbable silicon. But… I must say it can’t replace my beauty blender, or brush. The hygiene is the best part of the product but it just different than the way sponge would make your foundation look like. 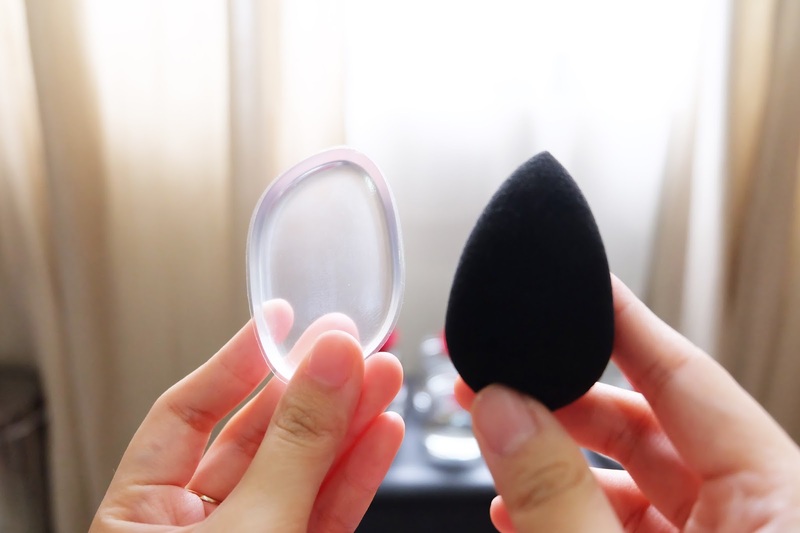 When you use beauty blender/ makeup sponge, you kind of press the product into your face so it’s going to look flawless and natural. 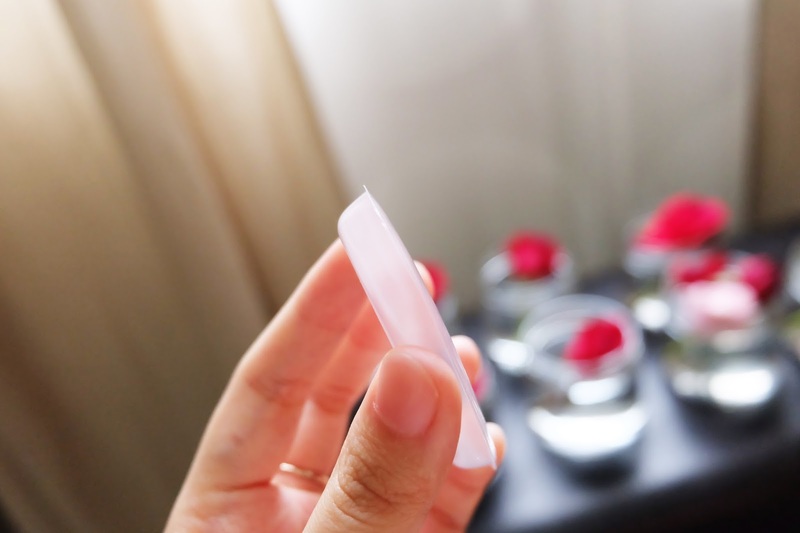 But Silisponge is like using your hand without fingerprint (which is a good thing) and without the warmth of your body (which is the bad thing). Even you can press it into your skin too but the result is just different. Maybe something like using a makeup brush… without the soft fur gliding through the small edge of your face. Yep… it’s so frustrating when you must use it under your eyes, or in every small corner of your face because it’s not as squeezy as makeup sponge. My skin is easily red when I press / rub it too hard. The best way to use it according to me is when I have to apply cream contour, somehow, it’s magically blended so easily than using sponge. Awesome! Overall I sadly say that I am not a fan of this Silisponge (sorry) but I may use it as contour blender. If you have a problem using your makeup sponge or brush you may try this product, but this is definitely not a must have product. General I tragically say that I am not an aficionado of this Silisponge (sorry) but rather I may utilize it as shape blender but I will try this. Eyes are very sensitive part of the body. 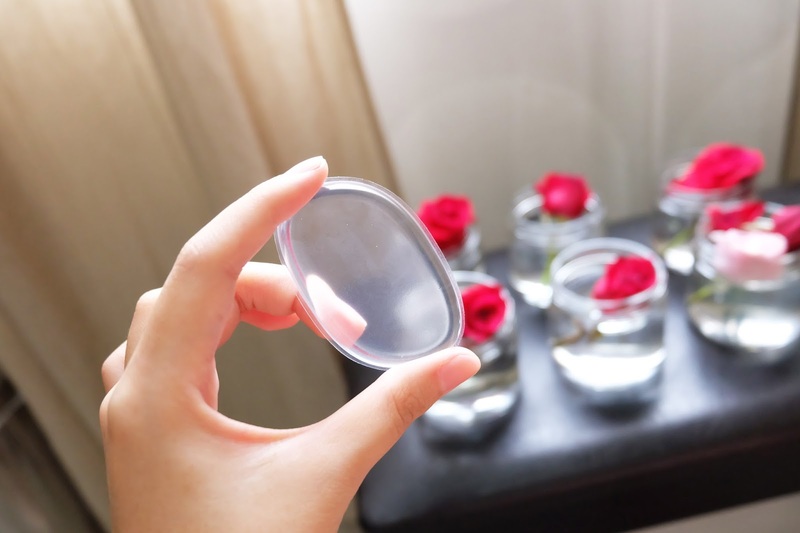 You should always take a good care of the hygiene of lenses or glasses you wear.